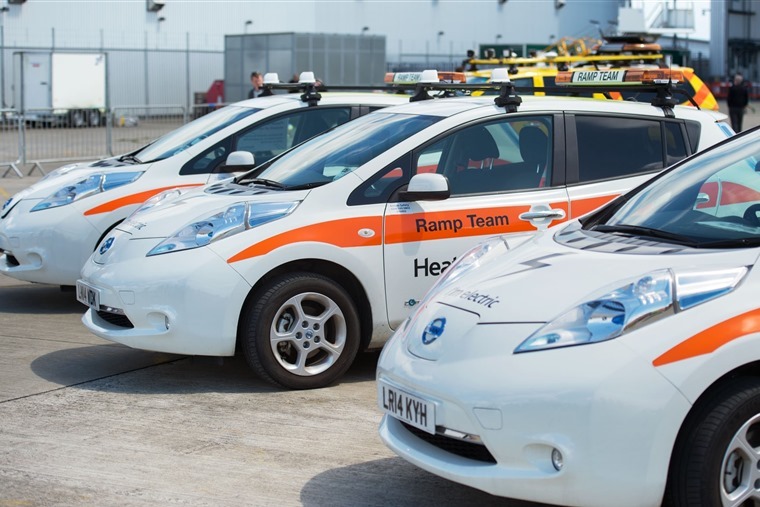 Heathrow, Britain’s biggest and busiest airport, has turned to the Nissan Leaf as part of its plans to inspire a new culture of electric car usage across the site. The airport has initially added 17 all-electric Leafs to its fleet, with 12 being operated by security and baggage teams and another five being used as pool cars. The move has been made in line with the company’s commitment that all cars and small vans in its fleet be electric or plug-in hybrid by the end of 2020. This is just one of the steps Heathrow is taking to reduce emissions and improve local air quality around the airport. 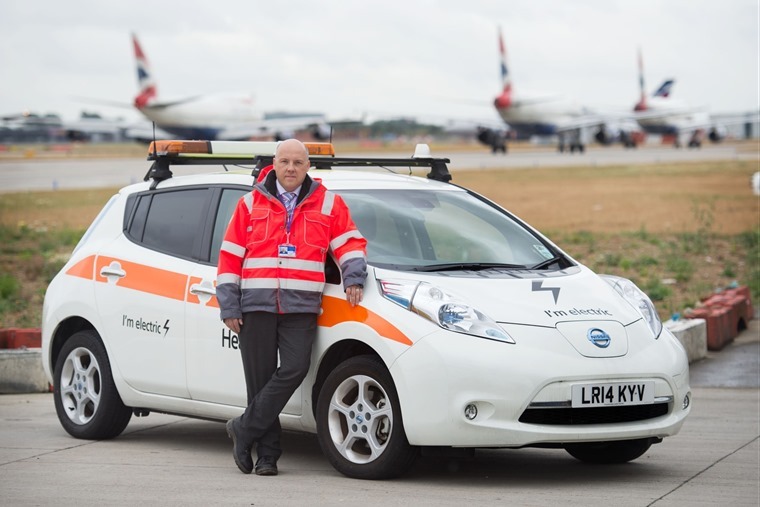 By introducing the vehicles in highly visible airside roles, it hopes to encourage third parties that operate thousands of vehicles around the Heathrow campus to follow suit. In all, some 8,000 vehicles are licensed to operate at the airport and Heathrow is setting ambitious targets to encourage third parties to replace these with zero-emission all-electric vehicles to help reduce the airport’s carbon footprint. Peter Leeming, head of operational strategy at Heathrow, said: “Through Heathrow 2.0 – our plan for sustainable growth – we are aiming to establish Heathrow as a world-leading airport in reducing emissions from all sources of activity. Following the launch of the first generation Nissan Leaf in 2010, seven years later it remains the world’s best-selling EV with more than 260,000 on the road globally. Nissan recently introduced a new 30 kWh battery model that delivers 26% more range versus the previous generation model, and up to 155 miles of driving range on a single charge.